It’s been a while since my last interrailing installment but this one is a good’un. After our fantastic long weekend in Budapest, we took another night train (this one wasn’t nearly as luxurious as the one from Berlin; we shared a six seater cabin with three very smelly men travelling to Croatia) to Lake Bled. 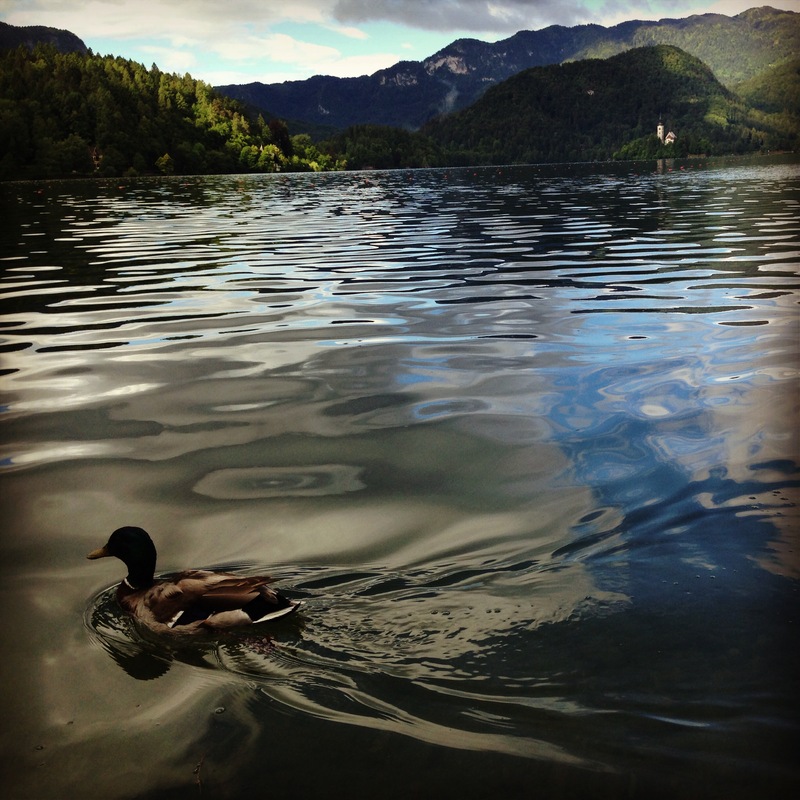 Nestled at the foot of the Julian Alps, the sleepy little town of Bled was completely different to bustling Budapest. We arrived at the train station at an ungodly hour of the morning and of course, the station was deserted. No taxis, no cars passing, not even a guard at the train station to point us in the right direction should we want to walk to the town. Out of sheer luck, a commuter bus passed and stopped and with the help of some very friendly locals, we were dropped into the centre of the town. 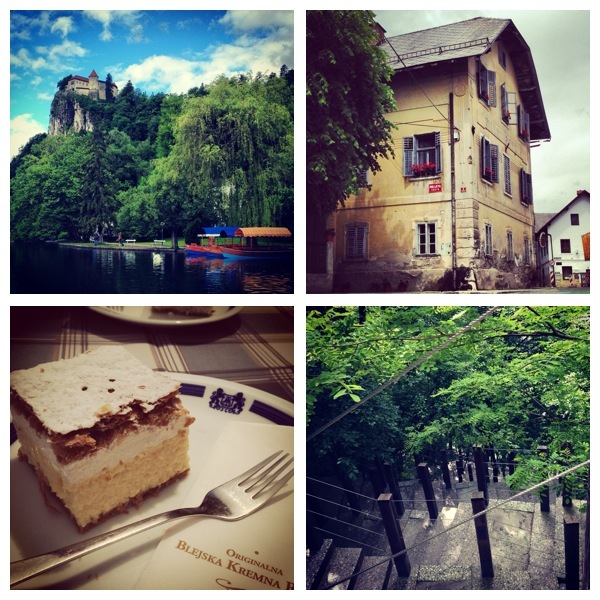 For about half an hour we walked up and down the steep hills of Bled looking for our hostel and we have never been so glad to eventually find it (again with the help of locals!). Jazz Hostel, albeit a little hard to find, turned out to be our favourite place of the whole trip. A family run hostel, apartment and bar complex, we were welcomed in like lost wanders in the night to have a cup of coffee in the bar (baring in mind it was about 5am, and we had had no sleep the night before) and rest before our room would be available at noon. And rest up we did – bags were abandoned behind the bar and we made ourselves as comfortable as possible on the tables and chairs. After a quick cat nap, we decided to go find breakfast in the town. Being 9am we thought we would come across quaint cafes serving up hot pastries, but be warned – although the town does indeed have these adorable cafes, they don’t open before 10am and you’ll be hard pushed to find anything open before then. This sleepy atmosphere set the tone for the rest of the stay and we soon forgot about times, schedules and for the first time in over a week, we didn’t rush anywhere. That is just the mood of the town – relaxation at its best. If you are going to Bled, you have to visit the Church of the Assumption on the island in the lake. Hop aboard one of the gondola style boats at the jetty and be rowed across the lake to the small island. Pull the on the wishing bell inside the tiny church, tuck into a traditional Bled cream cake in the pocket-sized cafe and look out to the pristine landscape from the island’s viewing points. Although Bled is most definitely a sleepy town, it is perfect for adrenaline-junkies too. With mountain climbing, hiking, canoeing and cross-country biking on offer (there’s plenty of operators situated in the town so you’ll have no problem booking something to do) you can make your visit as thrilling or a chilled as you like. We (unsurprisingly!) went for the chilled option and decided to tie up our Converse and take a stroll around the lake and to the top of Bled Castle. It takes about 20 minutes to climb up the steep steps to the castle (and we were taking it very slowly!) but the views are worth it. But if you rather skip the assent, you can walk around the whole lake in about an hour and a bit or you can rent bikes and cycle it in less time. 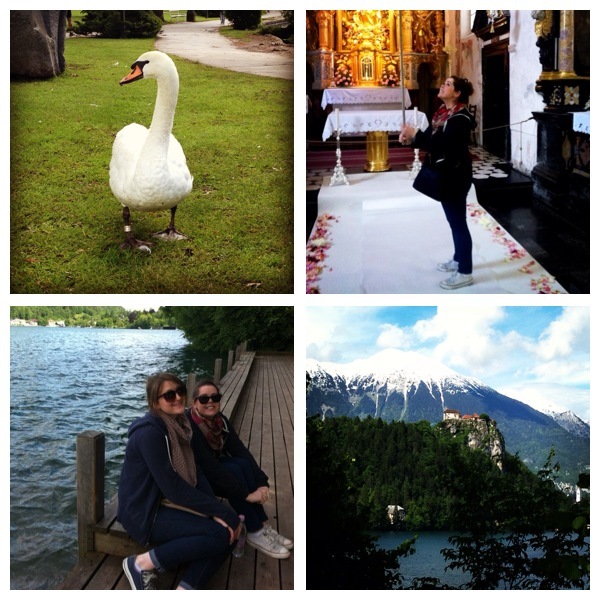 Our visit to Lake Bled was just what we needed at that stage of our trip – fresh air, breathtaking views and a couple of early nights to prepare ourselves for our next stop – Ljubljana, the Slovenian capital.